”Where is the ex-Hebert Wehner”? Nobody knew. The panic spread in Bonn this day, May 31, 1973. Günter Nallau , head of West German Säpo, Verfassungsschutz in Cologne, had just announced the suspicions that Willy Brandt’s assistant Günter Guillaume was Stasiagent. Federal Chancellor Brandt might know but he thundered you did not ask. 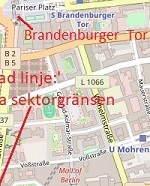 The head of constitutional protection in Berlin bounced the request to his friend Carl-Gustaf Svingel, who always kept track of where his protector was. This time with Communist leader Erich Honecker at Jagdhaus Hubertusstock in the Schorfhed Forest an hour’s journey north of Berlin. There he sat and starring Greta Burmester and enjoyed the Saxon Eiserschecke together with Honecker. Wehner and Honecker, who were not seen in the 40’s, recalled the time they organized Communists in Saarland before the Nazis took over the province of 1935. Had Wehner , with a past in Stalin’s Moscow, escaped to East Germany? Such as Noltke’s predecessor of the Archival Guard, Otto John, who was stabbed to the DDR in 1954. 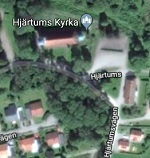 Known for Svingel, one can guess, for ”the world’s most detrimental (and also Astrid Lindgren’s head during the war at the State Forensic Laboratory). ”RevolverHarry” Söderman lived with her Majesty Heribert Jansson in Berling’s Victoria Assembly, when he was hanging and wearing loose beard spanning Otto John – closely known since Söderman, as the security service adviser, had hired him. How to get home Wehner? Say the truth and reveal to Honecker that he discovered his spy did not go. Swing came on a resort. He asks Charlotte Wehner to make the call and say that she is very ill and has to get her home right away. 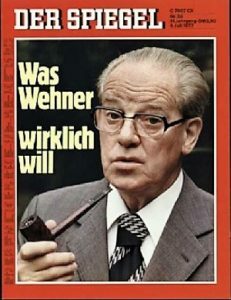 Wehner did not receive a ministerial port when Willy Brandt formed the government in 1969, nor after the Social Democrats victory victory until 1972. Instead he received the post as the party’s group leader in the Bundestag. By mutual recognition in the basic treaty at the end of 1972, West Germany and the GDR could negotiate with each other. Federal Counselor Adviser Egon Bahr , the architect of the basic treaty with the DDR, led to the purchase of prisoners and others in official channels. Ombudsmen such as Svingel, Wehner and the Vogel Advocate, Vogel, were no longer needed. Fixed Bahr’s negotiation with the GDR ceased, uncertain whether it was due to Honecker’s tactics or Bahr’s arrogance. Two thousand adults with children who were predicted exit but still stuck in the GDR, with what was called ”packed suitcases”. Without work, home and passport. Wehner exploded well aware that his warm heart for refugees was united with his revolt in politics. ”What are we doing now?” Wehner asked when he met Wolfgang, for which refugee trade was also a birth hook. ” I think you should talk with number one” answered Vogel and aimed at Erich Honecker. Wehner did not reveal a travel plan for others, Willy Brandt and maybe a few others, like CG Svingel. With the steering daughter and then Greta Burmester’s wife at the wheel, Wehner goes to 30th of May to East Germany. Without documents, they did not believe that they would meet Erich Honecker. When we only let go through pensioners, the People’s Police in Herleshausen established on the zoning border between Hesse and Thuringen. We are retired screaming Wehner and Greta pushed the gas at the bottom. During the five-hour trip to Honecker’s hunting lodge, they picked up Wolfgang Mischnick, group leader in Dresden, for the FDP coalition partner. Jagthaus Hubertusstock was originally built for the prussian king Fredrik Wilhelm IV. In 1973, the state provided the facility with bungalows to accommodate prominent guests. From the hunting lodge at Werbeninsse, it took just a quarter for Honecker to go home to the Waldsiedlung reserve, for its many Volvo 164 called Volvograd. At Grimnitzsee just north of Hubertusstock, Stasichefen Erich Mielke had his hunting house. A bit north of the woods were the remains of Hermann Görings Carinhall, named after Swedish wife Carin born Fock. A woodman smuggled her dust in 1951 from the grave of Carinhall to a shed in the American zone. Kyrkoherde Heribert Jannson used a list to cremate the remains and then transport the ashtrays in Jaguaren to Sweden. Not only living was part of the Victoria Assembly’s refugee logistics. Anyone hunting deer did not become for Wehner. On the first day, he met Egon Krenz, then a member of the Volkskammer and later short-term head of state when the wall fell. The following day, Mischnick and Wehner were served and coffee with cheese cake on Honecker’s terrace. Since communist youth memories were dealt with, HW and EH, as they called each other, discussed the basic treaty’s problems for the Middle East relations. What they did not know was that in Bonn, the DDR spy Guillaume was discovered. Two old men who draw stories, then the Greta Burmester remembers the meeting. The compass was mixed with tough roofs. The cups flew on the table, said Wehner. A large bag of D-mark contributed to Honecker’s quick decision that the refugee trade would be managed as before, that would be the case of Wolfgang Vogel and his West German contacts. Wehner hurried home after receiving the ”disease bidding” from his wife. The old ex-communist knew that the trip would be a price . National treason later wrote his rival Egon Bahr in a book . Wehner’s horizons were limited to the two German states. Brandt had a broader perspective in an international turbulence. President Nixon licked the wounds after Vietnam and was now full of Watergate. Later this summer, right-wing forces took power in Greece and Chile. In the years after 1973, free purchases increased sharply at an annual cost of just over 100 million West German land. For 1974, 1000 prisoners and 2,500 were released as family reunions. The language of prisoners stood by the following years. Family reunions increased dramatically to mostly around 20,000 per year in the 1980s. In a handwritten letter, Wolfgang Vogel and Carl-Gusaf Svingel thank Herbert Wehner: ”We congratulate you as a spokesman for the many many people. as with your help, have become happy ” . The fact that Guillame was a spy was realized but the security service lacked evidence. Shadow, as he traveled in France, gave nothing. In June, Brandt with her family took four weeks of vacation as they used to live in Norway, near Mjösa near Ruts Hometown Hamar. Stopping Guillaume as a companion would raise suspicions. The assistant therefore got to Norway with the family and lived in the neighboring house. Brandts came by with the flight. Vibke Bruhn , close friend of Ruth Brandt and according to rumor more than Willy, was part of the company. Guillaume handled the chancellor’s telex as usual. His two portfolios confused. The one with souvenirs, the other with secrets, including Nato’s Nato document. On the return, Guillaume stayed at Hotel Hallandia in Halmstad. In the bar he dumped the room key to the East Germanman. With the dance, the photographed agent went on the documents that were in a bag in the room. How much the spy boss Wolf and Stasiegeneralen Erich Mielke got out of this information is clear. On April 24, 1974, Guillaume was arrested. whereby the man proclaimed ”I am a national and officer in the DDR. Respect it ”. Wehner, from his confidant, Günther Nollau, learned that the search query revealed Brandt’s leap, which could lead to extortion. A reputation suggested a deal with a female reporter from Sweden’s Television. Saturday 4 May. At an SPD meeting in Bad Münstereifel, Brandt’s criticism makes unofficial decision on retreat as a chancellor. Others in the SPD leadership contradicted. Particularly reluctant was the endable replacement Helmut Schmidt. May 6, Bonn Monday morning . Carl-Gustaf Svingel and Wolfgang Vogel have breakfast at Herbert Wehner. He asks the question: ”What would you say if Willy Brandt is not Chancellor tomorrow?” Svingel stayed at Wehner while Vogel hurried to Berlin, probably to ask Erich Mielke in Stasihög kvartalet – for further promotion to Erich Honecker. Olof Palme was well kept. Because Bonn Ambassador Sven Backlund (from Svingel?) Advised an American journalist to have the radio the following evening. May 7, Brandt officially launches Guillaume as a pretext, exhausted by internal battles and a crisis economy. Helmut Schmidh has been persuaded to become chancellor. Brandt continued as a party leader and, together with Palme and Kreisky, activated the socialist international. In 1972, Brandt was on top of his career. In April, he won a resentment vote on the new eastern politics, admittedly thanks to two CDU members muted by Stasi. Together with the FDP, the Social Democrats gained majority in the November elections – much thanks to Ostpolitk and Brandt’s charisma. Nobel Peace Prize the year before. International Highlights 1973: Israeli Travel in June, Speeches at the UN General Assembly in September and the Prague Treaty in December. At the same time, 1973 was the beginning to the end. Wehner’s comment in Moscow ”The gentleman likes bathing in lukewarm water” can be a misinterpretation. Also applies to the Wehner citation ”What the government lacks is a head”. But it differs between the two. Maybe behind Brandt’s action paralysis was alcohol and depression. Guillaume also did not escape the Stasi SPD leader’s women’s business – not unlike President Kennedy’s sexual abuse. Burnout and anxiety can explain that Brandt quickly threw in the towel. To Moscow’s great fortune because the DDR sank their best politicians in Western Europe.